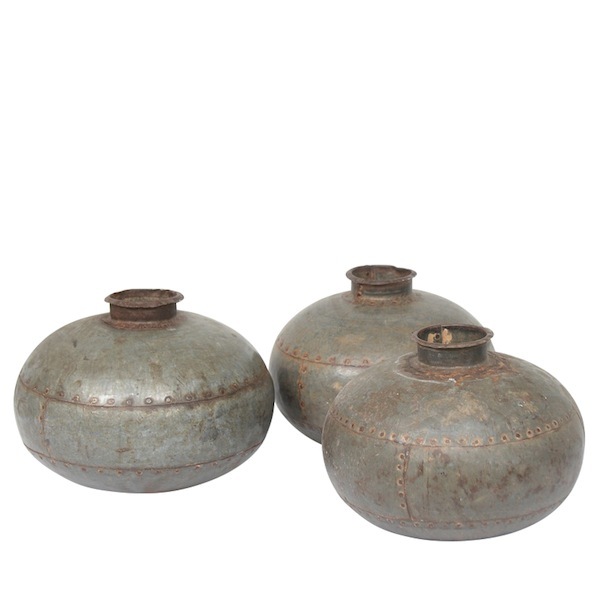 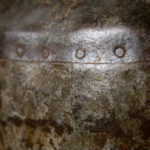 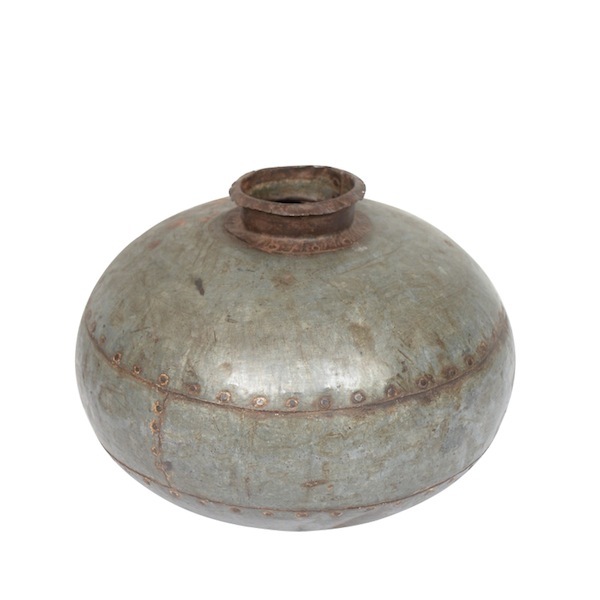 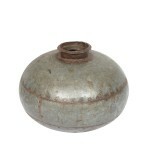 Antique metal vessels with patina and bolt details. 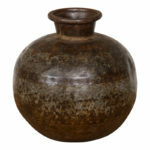 Size and color may vary. 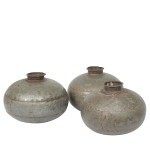 Great for a table top display or florals.